Patrick Kreifels and his older sister, Michelle, discuss how their differences have brought them together. Michelle Kreifels was born with an intellectual disability. She grew up on a farm in rural Nebraska, the fifth of seven children--and her family treated her the same as everyone else. 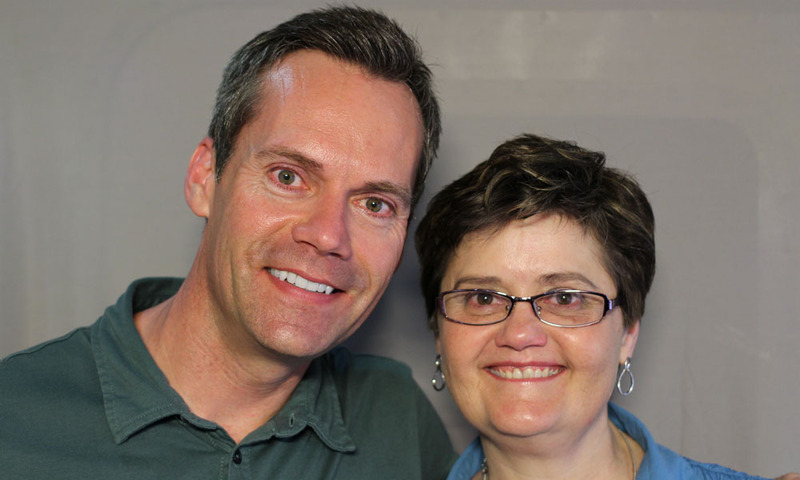 Her youngest brother, Patrick, brought Michelle to StoryCorps to talk about their relationship. 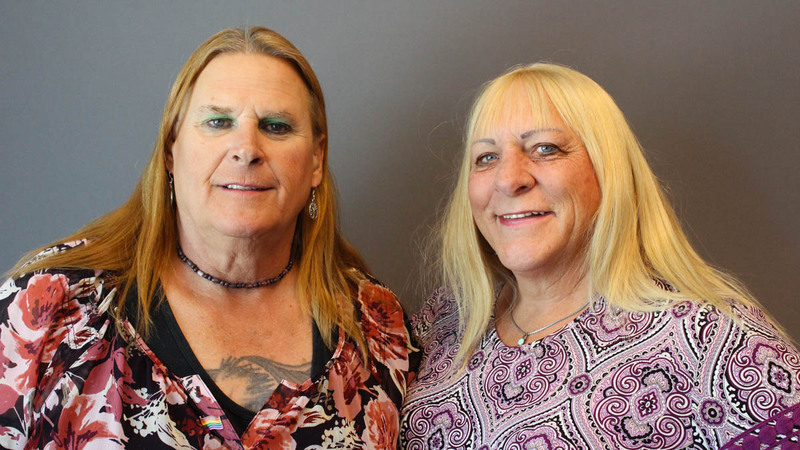 Sisters from Wisconsin recount what it was like to find out both of their parents had AIDS, and to lose them both to the disease in the early 1990s. Roger and Christine Bessey had been married for 27 years and were the parents of six children when he learned he had AIDS. According to his family, Roger had been living a double life for decades. 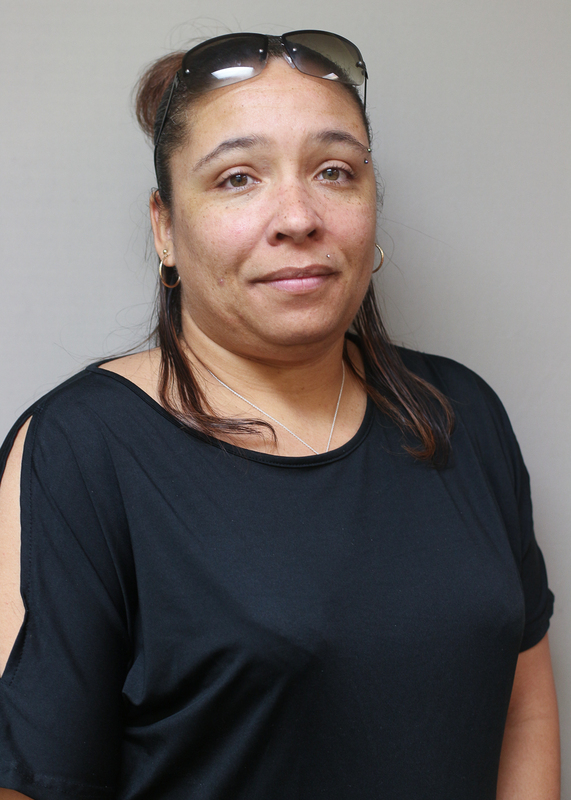 Christine was then diagnosed with AIDS and soon after left her husband. Roger died in 1990 and Christine died in 1994. 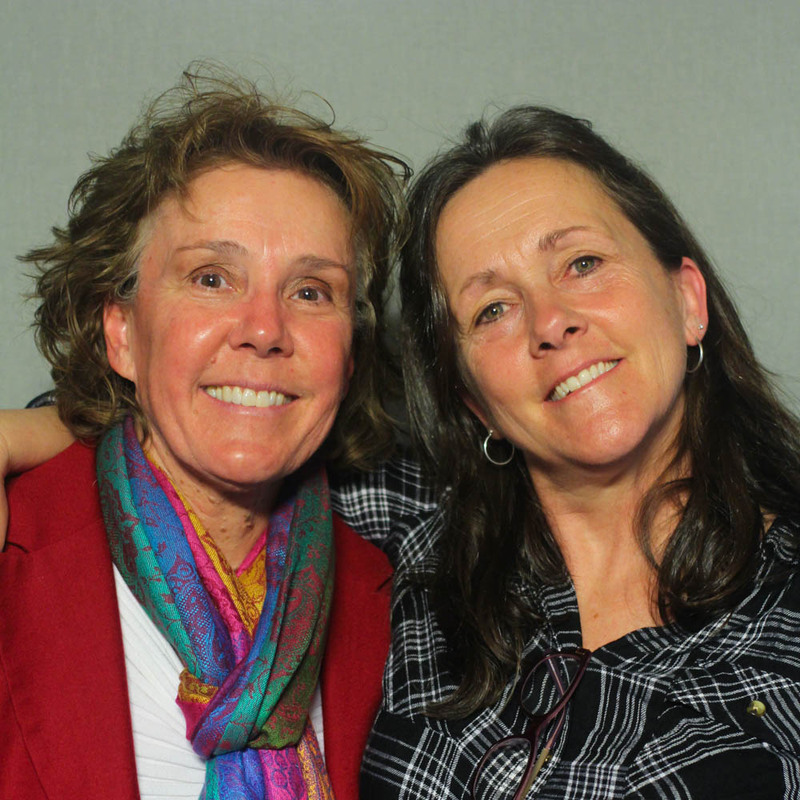 Two of their daughters, Claudia Anton and Diana Keough, came to StoryCorps to remember what it was like to lose both parents to AIDS. Andy Goodling tells to his father, Scott, about his boyfriend who passed away almost two years ago, and why he kept their relationship a secret. Six years ago, Andy Goodling was in college when he met his boyfriend, Bryan. They began dating, but since neither of them had come out as openly gay, they both went to great lengths to hide their relationship from their friends and family. About two years ago, they secretly took a vacation together to Florida. While there they decided the time was right to begin telling their families about their sexuality and their relationship. Just days after their trip together ended, Bryan was hospitalized with a sudden illness and died shortly after. Devastated, Andy decided it was time to start coming out to his loved ones so that he could openly mourn the loss of the man he loved. At StoryCorps, Andy talked to his father, Scott, about his relationship with Bryan, and why he chose to keep it hidden for so long. Gabe López, assigned female at birth, always felt like he was a boy. 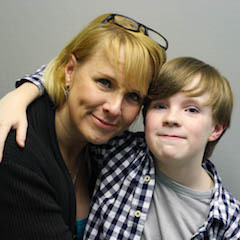 He came to StoryCorps with his mom to talk about growing up transgender. Chris López always knew there was something different about her youngest child Gabe. Assigned female at birth, Gabe always felt like he was a boy. At first, Chris was concerned that Gabe, being so young, might change his mind. She was scared of how people would treat him as he transitioned. But after seeing how Gabe responded to the changes in his hair and clothing, she felt confident that he had made the right decision. Last summer, their family attended a camp for transgender, gender creative, and gender non-conforming youth in Tucson, Arizona. There, Gabe met similar kids and made three new best friends—Luke, Cooper, and Brock (who among other things taught Gabe how to pee standing up). Gabe and his mother (pictured in the player above) recently came to the StoryCorps MobileBooth to talk about what it’s been like for him to be transgender, and his fears about the future. On June 24, 1973, an intentionally set fire tore through a New Orleans gay bar killing 32. Rev. Troy Perry came to StoryCorps to recall the aftermath. On June 24, 1973, a fire tore through the Upstairs Lounge, a gay bar in New Orleans’ French Quarter. Thirty-two people were killed in the blaze and many more injured. To this day, it remains the deadliest fire in New Orleans history and until the killings on June 12 at Pulse nightclub in Orlando, Florida, this act of arson was believed to be the largest single mass killing of gay people in U.S. history. Unlike in Orlando where there has been an outpouring of support for the victims, following the Upstairs Lounge fire, there was overwhelming silence from politicians, religious leaders, and the local community. And while police conducted an investigation, no one was ever arrested for the murders. After hearing about the tragedy, Rev. Troy Perry (pictured at left with his partner Phillip “Buddy” De Blieck in June 1970, at the first LGBT Pride Parade in Los Angeles), founder of the Metropolitan Community Church, a national Christian denomination dedicated to serving gays and lesbians, flew from his home in California to New Orleans to provide support. Offering comfort and assistance to the victims in hospitals, Rev. Perry recalls speaking with one badly burned man who told him that the school he taught at had fired him after learning that he was present at the Upstairs Lounge. That man died the next day. The initial reaction to the fire is something that New Orleans has had to come to terms with in the ensuing years. In 1998, a plaque was placed on the spot where the Upstairs Lounge once stood to mark 25 years since the fire, and in a Time Magazine piece on the 40th anniversary of the blaze, the Roman Catholic Archdiocese of New Orleans apologized for its silence. Rev. Perry came to StoryCorps to recall what he saw upon his arrival in New Orleans. Originally aired June 24, 2016 on NPR’s Morning Edition. Photo of Phillip “Buddy” De Blieck and Rev. Troy Perry courtesy of Rev. Troy Perry. 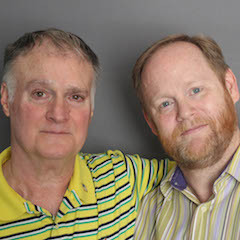 In this special StoryCorps production, Joel Tucker and his friend Gordon Blake share Joel’s experiences following an anti-LGBTQ incident from 2000. 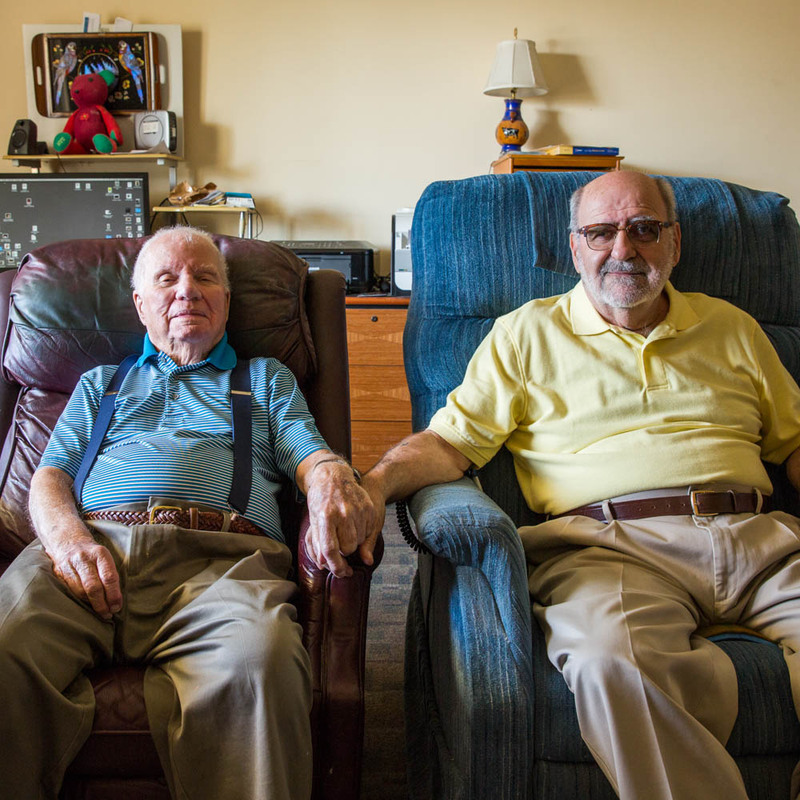 UPDATE: Joel and Gordon’s story aired June 26, 2016 on NPR’s Weekend Edition. The shooting at the Orlando, Florida, nightclub Pulse on June 12, that left 49 dead and 53 wounded, while unprecedented in scale, is certainly not the first time a killer has chosen to target the LGBTQ community. 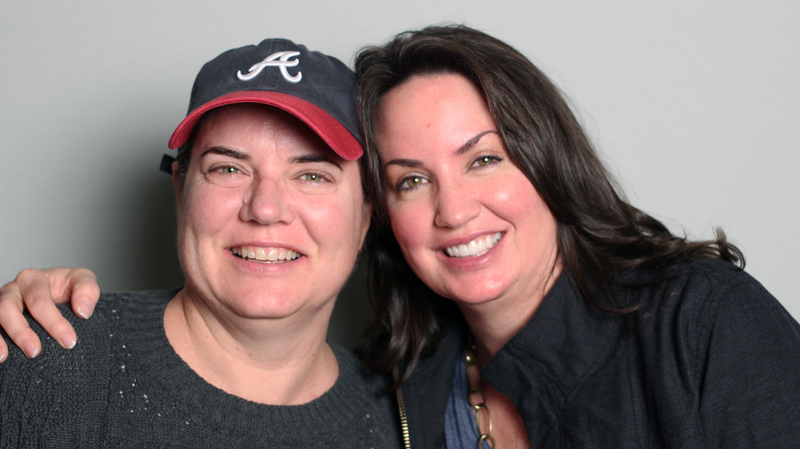 Anti-LGBTQ violence has a long history in the United States, and in this special StoryCorps production (excerpted from our latest podcast, StoryCorps 473: Upstairs, Backstreet, Pulse), we look back at another high-profile incident. On September 22, 2000, 53-year-old Ronald Gay entered the Backstreet Café, a gay-friendly bar in Roanoke, Virginia. According to police accounts, Gay had set out that evening in search of gay people to kill, and after seeing two men inside the Backstreet Café embrace, he pulled out a 9mm gun and began firing. Gay ended up killing Danny Overstreet and wounding six others. This story is excerpted from a special StoryCorps podcast featuring another previously unheard piece from a witness to the devastation that followed the June 24, 1973, fire at the Upstairs Lounge in New Orleans’ French Quarter. Until the killings at Pulse, this blaze, which took 32 lives, was believed to be the largest single mass killing of gay people in U.S. history. 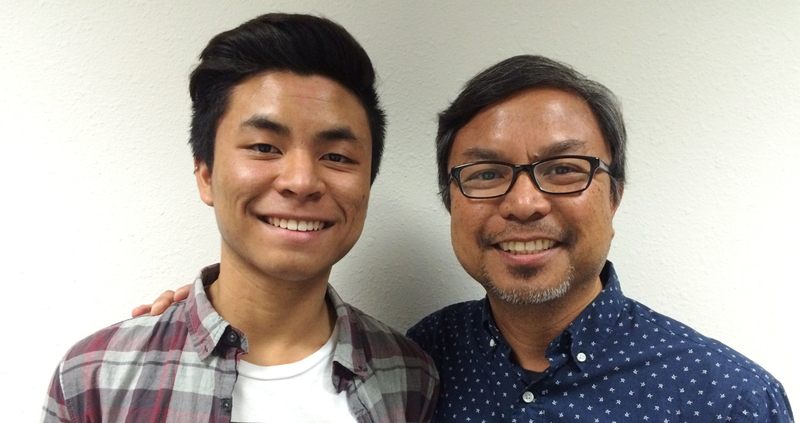 Danny Cortez was the founder and pastor of the New Heart Community Southern Baptist Church in La Mirada, California, in 2014 when his 16-year-old son, Drew, told him that he was gay. Up until that time, Danny’s church would either recommend celibacy or reparative therapy--a widely discredited form of treatment that identifies homosexuality as a mental disorder with the goal of converting people to heterosexuality--to congregants who identified themselves as gay or lesbian. Even before Drew’s coming out, Danny had slowly begun to reevaluate his views on homosexuality and whether he was doing more harm than good. When his neighbor invited him to visit the HIV clinic where he worked, Danny was introduced to a community of people he had not previously known much about. This began, for him, a gradual change of heart. Years later, as he was driving Drew to school, “Same Love” by Macklemore & Ryan Lewis came on the radio. Danny liked it a lot but didn’t understand that it was a celebration of LGBT love. Drew, encouraged by his father’s affection for the song, then revealed to him that he was gay. Realizing that they could no longer keep this secret from those they love, Drew posted a video online, and a week later, Danny delivered a sermon to his congregation about his changing views on homosexuality. As a result of the sermon, the Southern Baptist Convention cut ties with Danny’s church and his congregation split leading he and other members to form a separate LGBT inclusive, non-denominational church. Danny and Drew came to StoryCorps to remember the sermon that changed their lives. StoryCorps Legacy gives people with serious illnesses the chance to share their stories. At Grady Hospital in Atlanta, Christopher Harris recorded his memories from the early days of the AIDS epidemic. In the early 80s, his marriage fell apart after he came out as gay. He was diagnosed with HIV in 1988. At the time, there was only one drug approved to treat the disease, and a diagnosis often meant a death sentence. With StoryCorps, Harris remembered how he came to work with the Atlanta Buyers Club, which distributed medications from the black market to people with HIV before the drugs had been approved by the FDA. StoryCorps Legacy gives people with serious illnesses the chance to share their stories. At Grady Hospital in Atlanta, Christopher Harris recorded his memories from the early days of the AIDS epidemic. In the early 80s, his marriage fell apart after he came out as gay. He was diagnosed with HIV in 1988. At the time, there was only one drug approved to treat the disease, and a diagnosis often meant a death sentence. With StoryCorps, Harris remembered how he came to work with the Atlanta Buyers Club, which distributed medications from the black market to people with HIV before the drugs had been approved by the FDA.